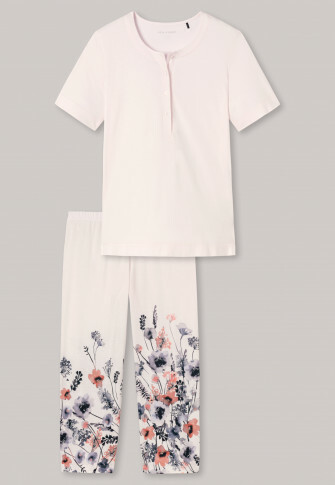 Ladies, you'll feel like you're sleeping on a bed of flowers in these creamy white pajamas. 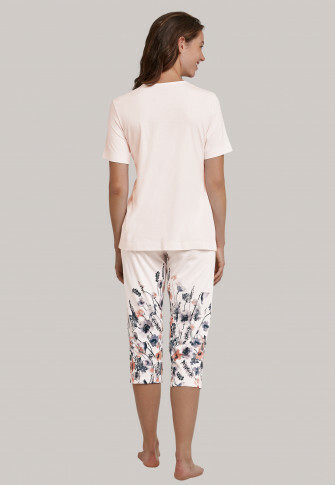 A summery watercolor floral pattern lends the 3/4 length pants their unmistakeable charm and has many lovely details: The shiny decorative seam at the neck and cuffs, the mother-of-pearl button placket or the comfortable elastic waistband - you'll feel wonderful in your new favorite piece. 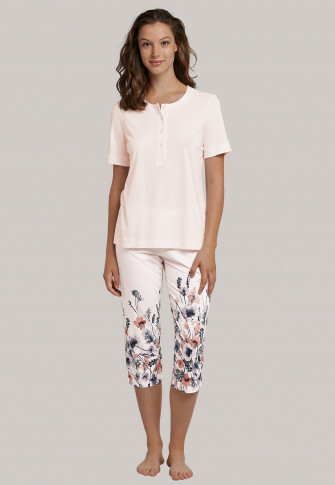 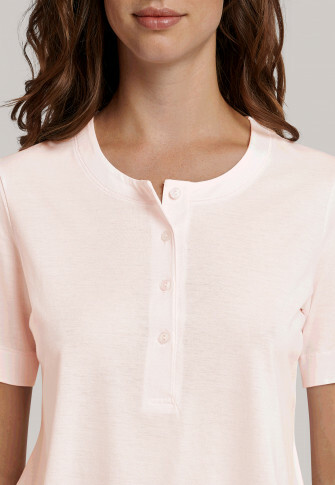 A wonderful sleepwear favorite!